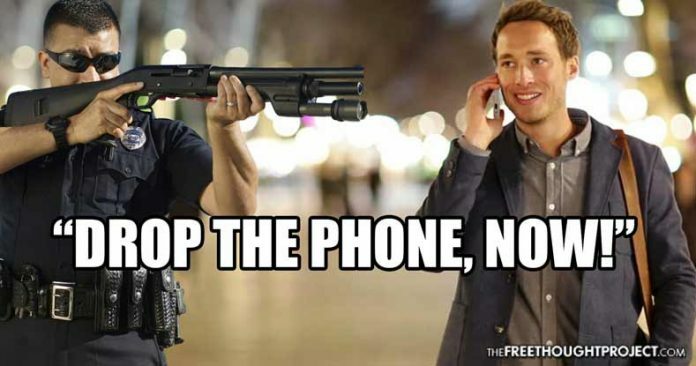 Connecticut just became the latest state with a city that is proposing making both texting and talking on the phone while walking illegal. The heinous “crime” of “distracted walking” has become the latest trend that cities in the United States are looking to legislate into nonexistence—relying on tax dollars and the extortion of citizens to solve the problem instead of common sense. Stamford, Connecticut, is the most recent city to join the bandwagon, and its proposal would make texting, and even talking, on an electronic device while walking illegal. A report from CBS New York noted that “nationwide pedestrian fatalities jumped about 11 percent last year with nearly 6,000 people killed,” according to the National Governors’ Highway Safety Association. According to CBS New York, most Stamford residents “seemed to like the idea,” of the new proposal. However, residents such as Troy Latham questioned why the city feels the need to legislate common sense. The proposal in Stamford is based on a ban that was passed in Honolulu, Hawaii, in July. The legislation was passed by a vote of 7-2 by Honolulu’s city council, and its fines range from $15 to $99, depending on how many offenses the individuals have accumulated. The ban goes into effect in October. Honolulu resident Ben Robinson told the city council in a written testimony that he sees this new law as a form of government overreach that infringes on personal freedom. “Scrap this intrusive bill, provide more education to citizens about responsible electronics usage, and allow law enforcement to focus on larger issues,” he said. In addition to the argument over whether making “distracted walking” illegal is a waste of taxpayer dollars that will enforce a law that should be common sense, there is also the question of how police will handle it, and if there will be an increase in cases of police brutality stemming from incidents where officers stop individuals in an attempt to issue citations for walking and using an electronic device. In June 2016, police used a taser on a mentally ill man while beating him with batons in Bakersfield, California. In August 2016, police choked a high school student and tackled him on the ground in Fresno, California. In April, a viral video showed police repeatedly beating a man, strip him naked, and then mock him, in Del Paso Heights, California. In July, a viral video showed police repeatedly hitting a man as they held him to the ground in Millville, New Jersey. The one thing all of these cases have in common? The suspect police were using excessive force on had been stopped for allegedly jaywalking.